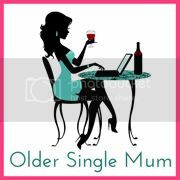 Older Single Mum: Have No Fear. With Robson's school holidays approaching, things seem even more frightening than usual. Well, every parent dreads them, even though we look forward to them as well. Lots of lie-ins are planned here. Some may even transpire! We're not going away, of course. Its bad enough getting through the day at home. Any extra stress or sources of anxiety are avoided where possible. But we can't stay in either. That really is too much trouble. Hope is for inexpensive days out, at various parks or by the beach, weather permitting. Otherwise we will be stuck. There really should be a Single Parent Club, if only to facilitate being out being less of a palaver - for a possible ice cream run or a nip to the loo without a buggy and two small children in tow, plus bags galore, a picnic and buckets and spades which cannot be left anywhere to be looted. This may well take half a day in itself, which is a shame when there is real adventure to be had elsewhere. Perhaps there already is one somewhere? Please let me know. Otherwise, let's start our own. 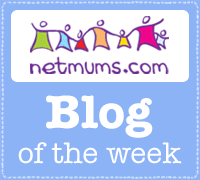 Let's face it, most mums are on their own a great deal of the time anyhow. This much was gleaned on a 12 week Parenting Course fairly recently. For a while, there were fewer rows at home and less frustration, more play and increased pleasure. Then old habits didn't really die so another plan is to get out all the paperwork and plaster it over the kitchen cupboards and surfaces to remind me of the simple tactics that might not result in entering nervous breakdown territory quite so frequently over the next six weeks or so! It really did make a difference. 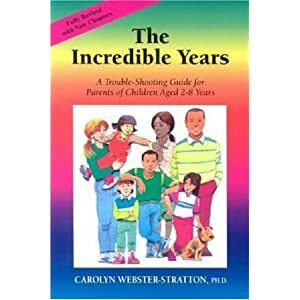 Based on a book called The Incredible Years, it just gave strategies on how to deal better with our childrens' behaviour, which meant altering your own, frankly, but that didn't matter. It was done in quite a patronising, however, altogether, awfully kind way and I loved it. It can be harder than you think to play with your children for (at least) ten minutes a day, particularly the older ones, which came as a shock and it is worth the effort a million times over. Plus we were given homework to do something for ourselves for (at least) ten minutes a day! Crikey. That was tricky too, yet it was actually the most powerful lesson of all and made me a calmer, happier parent. Then, of course, it was all too easy to forget among the mayhem at home, which is why the white / blue tack will be abundant around Friday. We were also fairly strictly instructed to praise ourselves in addition to heaping it on the little ones and that has caused interesting ripples. And we had to make rules. These highlighted how fantastic it can be to be a single parent with NO-ONE pulling against you. Apart from the children, naturally, because it seems they see it as their job to work you out and work you over. Speaking of which, ignoring bad behaviour was advised (by the woman running the show who, unfortunately, was not a mother herself, so not driven to despair by lack of sleep and incessant everything). This was beneficial for a while, before nothing short of shameful shouting re-occurred and exhausted drivel would re-appear. Yes. We are returning to rewarding 'positive behaviours.' Heaven only knows if that can or will include my own. There aren't many advantages to single parenthood. Not being undermined is definitely one of them. Practice makes perfect and opportunity aplenty presents itself right here, right now. Perhaps there is not quite so much to fear, after all, these Summer Holidays? Undoubtedly, the very best plan of all!